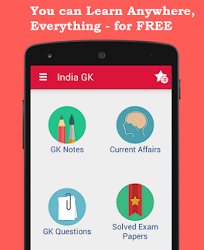 23rd, 24th October 2016 Current Affairs MCQs, Quiz, Questions: Current Affairs for October 2016, Daily Multiple Choice Questions (MCQs) for India GK, World GK and current affairs with Collection of daily objective type Question by www.Indiagk.net based on General Knowledge (GK) and General Science (GS) Questions for UPSC, State PSC, SSC, Police exam, Railway exam, SBI, Bank PO, IBPC, SSC, LDC, UDC, Army, Airforce, Navy, Coast Guard, Bank Clerk, TET and all entrance examination with current affairs News, Multiple Choice Questions (MCQs) available on Website www.IndiaGK.net and Android Apps with daily updates:. Schatzgraber, Hitler's secret Nazi base was discovered recently at which place ? Which country’s parliament voted on 22nd Oct to ban the sale, import and production of alcohol? PM Narendra Modi on 24th October launches URGA GANGA Gas pipeline project in which City? Cyrus Mistry removed as Tata Sons chairman on 24th October and who is appointed interim chairman?